Today in Digital Rhetoric, we’re covering the history of the internet in about 35 minutes. Considering that some programs devote an entire course to this, I am feeling the pressure to make the lesson meaningful and informative. I like to focus on the origins of the internet, ARPAnet, and its links to the military-industrial complex. To me, a lot of the issues we face today are rooted in the internet’s early focus on connecting research institutions engaged in the Space Race. At the same time, I want to talk about some of the cool stuff that the early internet afforded. For example, MUDs (Multi User Dungeons) created spaces for people to meet and play. For example, when I lived in Scotland in the mid-1990s, telnet allowed me to meet up with my friends back home and chat for free. I also remember using Mosaic. In the early 90s, my high school received a grant for internet access and education. Below, is a good example of what “surfing” the web looked like back then. I remember waiting entire minutes for a page to load if it had a lot of images. At the same time, I took a rudimentary coding class in which we learned the basics of HTML and LINUX. And, while I resented taking these classes at the time (Why do I need to learn programming? I’m going to be an English major?! ), I still use these skills today. Today, we take the glitzy interface of the web for granted. Even WYSIWYG software like that which runs this WordPress blog hides the architecture that holds the internet together. I reminds me of HGTV shows like House Hunters in which people walk through a home and complain about the paint and the carpet. In many ways, I think this exactly what Karl Stolley addresses in the Lo-Fi Manifesto. By understanding the relationship between the web and the internet and the history of the development of both, we can begin to see how issues of access, race, gender, and corporate interest play out today. I’m traveling around this Mid-West this summer. The twist is that I’m complete dependent on ride-sharing and public transportation. So far, someone stole my Beats (my fault), people have shouted, and men have said gross stuff to me and other female passengers. At the same time. I’ve met some really nice people – a Sister of Loretto gave me a holy medal and a bus driver paid part of a fair for two disabled women who were a dollar short. A lot of this travel has been made easy by the internet. I can consult my friends and book my tickets as I make my next steps. I’ve had my friends print my tickets at their jobs. It’s been really nice. 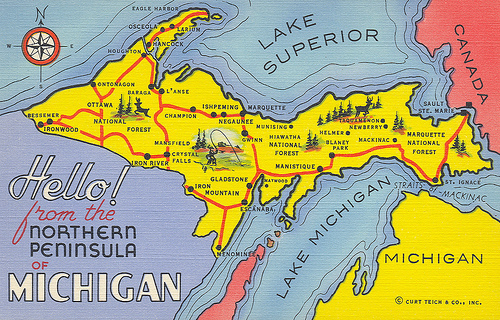 Now, I’m preparing to go to my dad’s place in the Upper Peninsula of Michigan. Of course, his house is so rural, he has to drive an hour to pick me up from the bus. Here’s the rub – he has neither the internet nor a cell phone. So, I can’t just give him an address that he can plug into Google Maps and print off the directions. I can’t talk him in with my own directions via cell. He needs step by step directions. This means, I am going to call him on his landline tonight, look at the directions of Google Maps, and he is going to write them down. One of my ongoing research interests is the way in which metaphors shape the way we think about the interwebs. For example, we often describe technological changes as revolutions, breakthroughs, or cutting edge. These kinds of metaphors may mask the ways in which the interwebs are not revolutionary and recapitulate existing inequalities. Nevertheless, one of my favorite metaphors is the virus/plague/meme metaphor. In 16th Century England, authors often compared the spread of unregulated books to the spread of disease. Similarly, we describe unwanted programs as viruses that infect our machines. This metaphor makes sense to us because plagues and viruses spread without our control. Like viruses, images, news stories, and memes proliferate on the internet without our control. For example, historian Monica Green from Arizona State University recently found that a Medieval illustration is often used online to describe the Black Death. 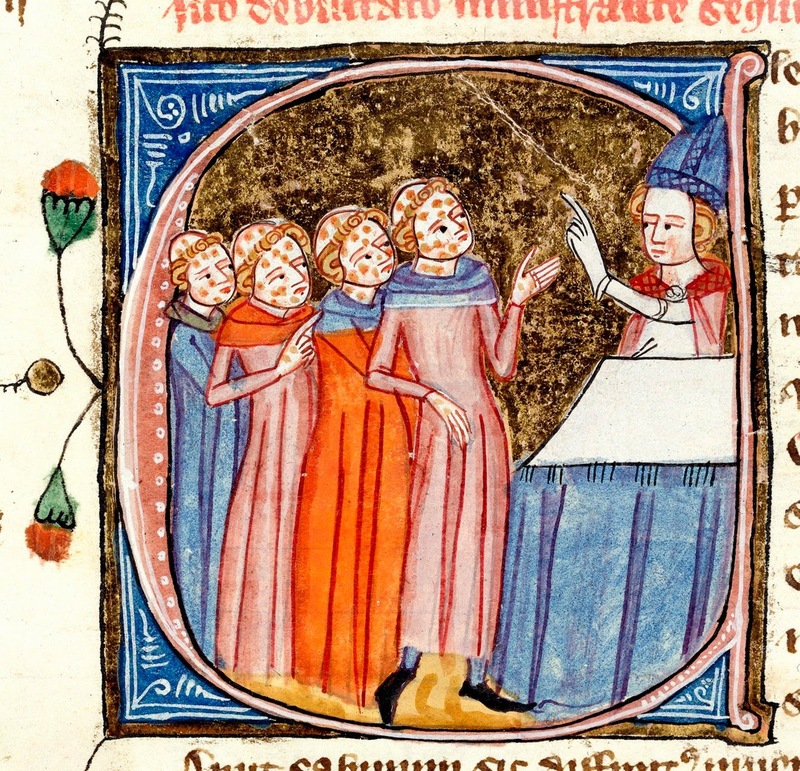 However, the image actually depicts clerks with leprosy being taught by a Bishop.Green and her colleagues traced the error back to a catalog mistake at the British Library: “While art historians have long known what this image portrays, it was mislabeled as a plague image when the British Library’s digitization process removed it from its original textual context” (Jones). In other words, the error is replicated online over and over because one librarian made a simple mistake. Errors are not new to publishing. After all, just looking at the Hamlet Quarto Project shows you how easily errors, changes, and typos can appear in printing. Or, in the infamous Wicked Bible (1631), the printers forgot a small word and the Eighth Commandment suddenly read, “Thou shalt commit adultery.” Mistakes happen. However, digital publishing can make these errors widespread. What’s more, when an image or error is uploaded to Wikipedia, the mistake is perceived as truth. 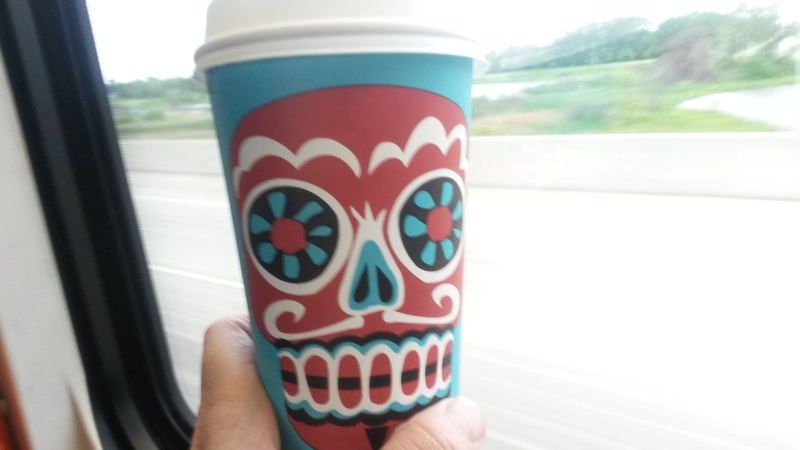 At the same time, the affordances of digital media allow us to fix these errors. A mislabeled image in Wikipedia can be easily removed or relabeled by anyone with an internet connection and the knowledge. Conversely, an error may circulate for years because the Tudor kings and queens were right – information is like a virus. I vividly remember getting our first computer. It was 1995 and I was a senior in high school. My mother ordered a Gateway computer because it was a good computer and she liked the cow print box gimmick. She placed the computer in the space between our kitchen and living room so everyone could use it. The machine changed our lives. Instead of retreating to our rooms alone, my brother and I stayed out with our parents to fight over computer time. Sometimes, we had to negotiate time with our mother! The dial up hand shake gave me a thrill. I was lucky. My mom loved technology and made it a priority in our family. I didn’t get my own car, but I had the internet. How each of us comes to digital literacy can be radically different. In Literate Lives in the Information Age, Cynthia Selfe and Gail Hawisher share stories of digital literacy (we’re reading at least one of them in a month or so). At the end of the book, Selfe and Hawisher provide the questionnaire that they used to generate these narratives. You may find some of their questions fruitful as you blog about digital rhetoric. If your family had a computer at home when you were growing up, can you tell us a story of buying the computer? Who bought it? When? Why? Can you tell us how much the computer cost? Can you talk about how significant/serious that investment was in terms of your family’s regular budget? Tell the story of how you first learned to use the computer at school: What was your motivation? Age? Who helped? How did they help? What kids of support did you have? In what classes did you learn to use the computer? How much access did you have to a computer per day/week/month? What did your teachers/the school you went to think about computers? What values did they place on this activity? On your participation? On their role? Do you have any stories you can tell us that would illustrate the value of the educational system placed on computers or computer literacy? Do you currently have access to a computer someplace other than at home? Where (workplace, school)? When? For how long? How do you get there? How much does it cost to use this computer?